Unfortunately the owner cannot keep these adorable hamsters and is only willing to give them to serious hamster lovers for FREE. All hamsters are in very good health, active and have a good hamster character. 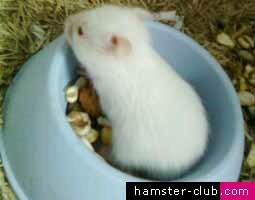 The White Hamster shown in the below picture is a two month old male hamster. He is quite young and can make a great pet. 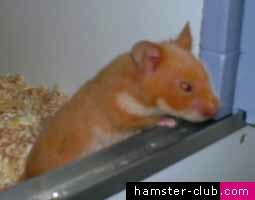 The Honey Bear Hamster featured above in this page, is just four months old and can also make a great pet. Owner also has other hamsters available which unfortunately are up for adoption. If you think that you are the right person to adopt a hamster, live in Malta and like these cute furry pets, then a hamster is just a pet for you. 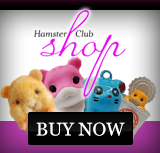 Email me on nadia@hamster-club.com and I will liaise with the owner to meet you and give you one or more of these adorable hamsters. Don't miss this opportunity! 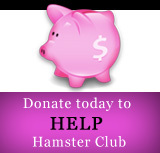 Adopt a hamster NOW!